If you lived on the notorious Canterbury Estate in the '40s and '50s, then you knew there was one man you did not want to cross: Charlie Hudson. A solitary man, feared and respected by the gangsters of the time, Charlie was a boxer who never lost a fight, in or out of the ring - the most infamous of The Canterbury Warriors. 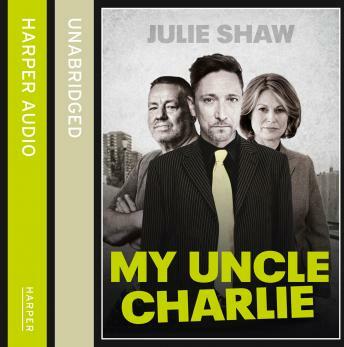 My Uncle Charlie, the second title in the explosive series unravels a story of debauchery, crime and self-destruction. Charlie Hudson was a born leader. The eldest of eight brothers and four sisters and with a boxer for a father, fighting was in his blood. And as the young protégé of local Italian gangster, Mr Cappovanni, Charlie not only learned to knock every opponent out, he also learned the tools of the crime and extortion trade well; emerging into adulthood in the middle of the war years as a natural heir: running cons, illegal books and a band of prostitutes. Gritty and engrossing, book two of the Hudson family saga delves deeper into history of the infamous Canterbury Warriors; the true story of one man's ascendancy to power, and the tragedy that brought it all crashing down.